Huawei P30 Pro Review | DId you know these thing about it? Back in last year, Huawei slapped the market leaders with a very solid, durable and powerful smartphone that shows clearly that its main reason of being in the market isn’t to only show the numbers. But they also have the intent to strongly compete for gaining the users hearts by providing that kind of tech pieces that give them the full answer to their daily questions. 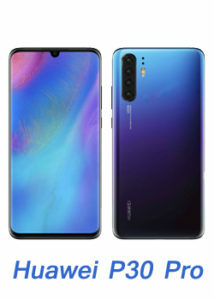 Welcome to the review of Huawei P30 and P30 Pro the upgrade of P20 Pro last year shine. Now, it’s clear that Huawei have their own identity in the market, but this personality becomes more and more stronger, each time they launch a new smartphone. So, now let’s get a closer look at the new P30 Pro and P30 from Huawei. The P20 Pro version, has a new design though, and it comes with three different colors, black, twilight and crystal. With USB-C port, SIM card, SD card port and the speaker all on a cool new look flatted design in bottom. The top still the same as its predecessor P20 Pro with an IR blaster, which allows you to control various electronic devices in your home such as a TV. On the right side there is the volume rockers and power button on the left side, there is nothing at all. The P30 Pro comes with the common teardrop design and a camera on the top of the FHD+ OLED 6.47 curved screen. Glass 6 which means, your phone is anti-scratches and will stay elegant and look like new even after months and years of use, and its screen can survive from any accidental drop by itself without the need of any glass protector. There is no earpiece at the top. But in this flagship Huawei used an Elector-magnetic levitation technology, which relays on two magnetic sticks behind the screen that vibrate to give you sound. This technology will help you hear better no matter where you ear is located on the top of the device. The P30 Pro is IP68 water and dust resistant, which means more protection against any accidental splashes or deep in water. The Huawei P30 Pro has Kirin 980 with 8 cores and 7nanometer architecture CPU, which is the upgraded version of Kirin 970 in P20 Pro. And what that means, is that P30 Pro experience will be better than its predecessor, which we’re have already tested and happened to be a powerful device in terms of speed, multi-tasking and gaming. Storage: P30 Pro comes with two options, the 6GB of RAM and 128GB of onboard storage. While the 8GB version comes with 256 GB. Allowing you to choose the size that fits your needs and record as much memories as you want. Battery: The 4200mAh of battery capacity, will automatically need too much time to be charged. But thanks to its ultra-fast charging technology and 40W charger, you can push up to 70% of power energy into your drained battery within 30 minutes. The device runs Android 9 with EMUI 9.1, and it also supports Dual NPU, meaning better processing and battery management. The camera also supports AI. It also supports Huawei’s Wireless Projection technology. P30 Pro supports two sim cards or a sim card and a Nano memory card. Leica cooperation is still the same. And Huawei is doing their best to give us the latest technologies. And thanks to them, the competition between all companies will increase. CAMERA: P30 Pro has 32MP front camera and four rear cameras in the back, each of them has been provided with different specs and capabilities to fill the needs of a specific function. The first one is the 40MP with an F/1.6 aperture for wide angle shots and it also features OIS and EIS. The second comes with 20MP and F/2.2 aperture for an Ultra-wide pictures and it also supports OIS and EIS. And the third one is an 8MP for telephoto camera, with a square design. And F/2.4 aperture and it supports Super Spectrum technology. Which uses the RYYG technology instead of RGGB technology, making the camera recognize more colors. It also supports Hybrid zoom up to 10x. Or optical zoom up to 5x. Digital zoom is up to 50x, which means, you can clearly see things that are 580m away from you. And it also supports AI, where it recognizes what you are about to shoot. The forth camera is a ToF 3D camera, which helps to resolve the distance between the camera and the subject for each point of the image, by measuring the round trip time of an artificial light signal provided by a laser or an LED for a better depth in photos. You won’t directly use this camera, but it will enrich the performance of the other 3 cameras of your phone. With all these amazing features, a nicely finished design, 4200 mAh of battery capacity and 8GB of RAM, 256GB of onboard storage, power revers technology, surely this will be among the Top five smartphones in this year and it can be the best in the camera department. USB-C cable and it supports reverse wireless charging. 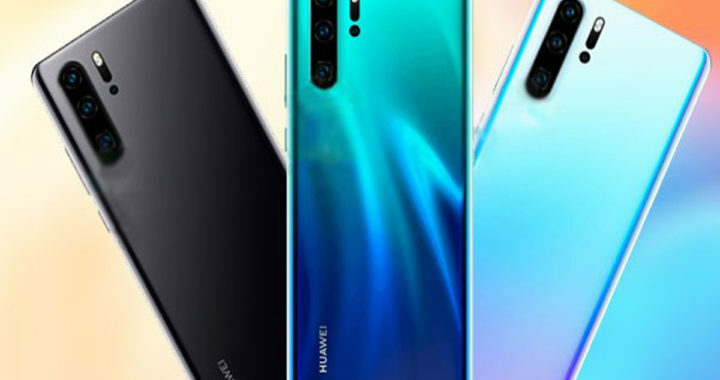 Tagged huawei p30 pro price, Huawei P30 Pro Review, p30 pro camera, p30 pro huawei, p30 pro specs, p30 pro vs mate 20 pro.